Alaska Airlines has a nonstop flight out of LAX that is only a little over two hours, and couldn’t be more convenient. Not only was our service amazing (shout out to Mackenzie!) the experience was genuinely so much fun. On this route they offer free local wine and beer (you read that right — FREE! ), great snacks (who doesn’t love Cheez-It’s? ), and they even gift you with a free lift ticket!! That’s right, Alaska has a “Ski Free” promotion, where you get a free lift ticket that you can ski with at numerous resorts around the U.S.A. How cool is that? Check out the website to see if the promotion aligns with your next skiing destination (because let’s be real… skiing is expensive and free lift tickets go a long way!). We’ve flown a lot in our days, and Alaska really goes beyond in customer service. This trip solidified that for us. One thing that stands out to us about great hotels is when they can provide the comfort and luxury you hope for, while still maintaining a homelike atmosphere. At big resorts you feel like one of the masses, while at a place like Knob Hill you feel like it’s your home. The employees, including the general manager, knew us by name by day two. And they’re genuine. Not just a stuffy “Yes sir” or other canned phrase they say to everyone… but you can quickly feel that they love their job and care about the guests. If you know what we’re talking about, you know this is an incredible quality, and we don’t throw it around all the time. Knob Hill has that… we miss it! Activities: Ski, Snowboard, and more! We decided to spend some time skiing - which neither of us had ever done before. We utilized our free ski pass (thanks Alaska!) and spent some time taking a lesson and attempting the “bunny slopes”. Let’s just say Bobby was a natural, and Alli was ready for a glass of wine. ;) Bobby loved it so much that he spent the rest of the weekend building up the courage and skills to go down the “main slope?”. 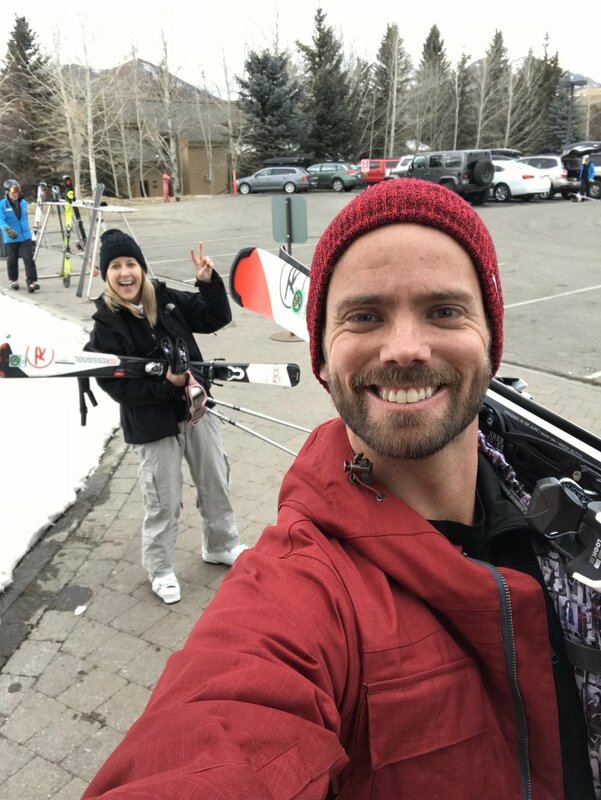 While he skied, Alli happily filled her time shopping, going to the spa, and listening to live music in the lodge. Both of us couldn’t have been more content! *If you don’t have ski or snowboard gear (we didn’t), we found out about the COOLEST service. Ski Butlers will come to your hotel room and hook you up with all you need. The cost is actually really affordable, and it’s SO incredibly easy. If we ever needed anything or had any questions, they were always just a quick phone call away! The dining options in Sun Valley are just as endless as the activities - we could write a whole blog just on that! (And we did, check it out here.) ;) One of our favorite ways to dine when we’re in a new location is what we call “grazing”. We’ll go to one spot for a drink, another place to share an appetizer or two, and a final restaurant for our main course. It’s a great way to do it when you’re surrounded by so, so, SO many great restaurants! So, there you have it friends. 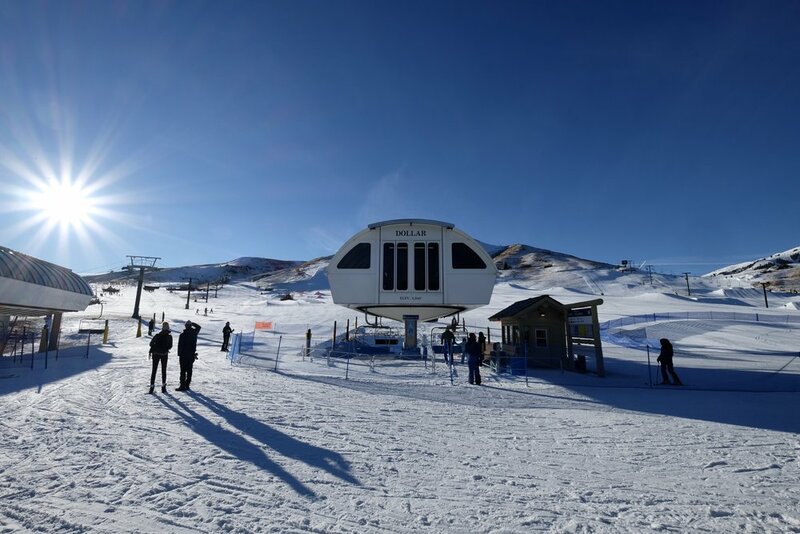 We hope we’ve convinced you to explore Sun Valley. If you’ve already been before, we hope this inspires you to book another trip. Our weekend was easy, relaxing, adventurous, and spoiling all in one. Not to mention these California kids finally had a reason to bust out their beanies and mittens… We can’t wait to go back!